"Pre-toss you would need to be crazy to take prices of [2.06] about England"
Sri Lanka, in desperate need of a boost with the series gone and the prospect of a whitewash very real, didn't get one when skipper Dinesh Chandimal was ruled out again. There had been some hope that he would return from a groin injury to bolster the batting. Danushka Gunathilaka has been called up as his replacement and he could go straight into the XI, replacing opener Kaushal Silva. Suranga Lakmal will continue to lead. In a further blow there is no Akila Dananjaya, who produced a tremendous performance in Pallekele, outbowling Dilruwan Perera, despite being reported for a suspect bowling action. Offspinner Nishan Peiris, who is uncapped, comes in. He took three England wickets in one of the warm-ups. Malinda Pushpakumara, who got the nod to replace Rangana Herath, had a decent game with four wickets. The spin threat remains. England have wisely shuffled their pack as they are afforded the luxury of a no-pressure game with the series won. James Anderson and Sam Curran are out. In come Stuart Broad and Jonny Bairstow. The comfort that comes with being 2-0 up with one to play gives them the opportunity to rest Anderson and bring back Bairstow, who was no doubt peeved that he'd lost his place to Ben Foakes following an injury. Bairstow may now need to come to terms that he has lost the gloves for the long term. The inclusion of Broad is a bit 'meh'. Anderson barely bowled with spin to the fore and it makes England no brighter or duller prospect that he is in the team. 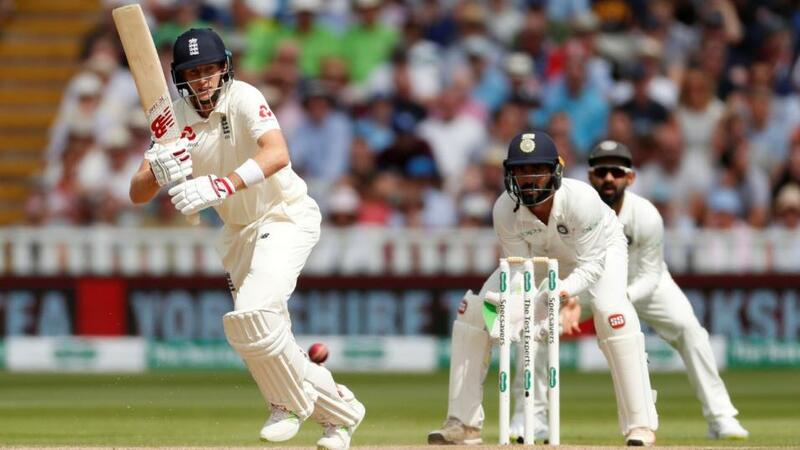 The obvious bonus of a series win aside, there will have been mighty relief at Joe Root's match-winning second-innings century. As innings go, they don't come much better and it was a welcome reminder that class is permanent after a tricky run. The last five first-innings scores at the Sinhalese Sports Club read: 338-622-355-312-320. On each occasion that was enough for a win. Unsurprisingly, the toss is key at this venue. In the last ten years (11 Tests) no team has won fielding first. It's six defeats and five draws. England have not won three consecutive Tests in the same series since 2004 in the Caribbean. They have managed the same feat once in Asia - in 1976-77 in India. There can be no doubt that they have a golden chance to improve on both. If they win the toss and bat first England should enjoy another victory. Lose it, however, and Sri Lanka should restore pride. The wickets in this series have been a great leveller with England's batsmen avoiding fourth-innings pressure and crumbling surfaces. Pre-toss you would need to be crazy to take prices of [2.06] about England. Sri Lanka are [3.15] and the draw is [4.9]. If the hosts bat first we can expect their price to shoot down significantly. Some ground form here for Gunathilaka, Dimuth Karunaratne and Dananjaya de Silva. All notched half-centuries in the first dig against South Africa in July. Karunaratne also has a century against India under his belt in the previous Test. Karunaratne is 3/1 with Betfair Sportsbook for top Lanka bat in the first innings. De Silva is 6s. Gunathilaka is yet to be priced. Roshen Silva, who had an excellent game two, is also 6s. Angelo Mathews is likely to be well-supported at 7/2. Following his epic ton in the second innings, it is easier to consider Root value for top England bat at 11/4. Despite their position of authority in the series, in terms of technique and patience he doesn't really have much to beat. He is superior to all of his team-mates. Ben Foakes goes close. He has been a revelation and we note his 8/1 price because he tops the overall run charts for the series.